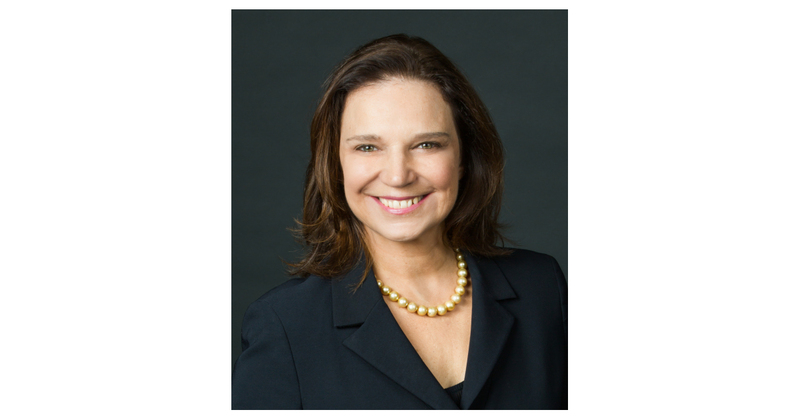 BERKELEY, Calif.–(BUSINESS WIRE)–Renowned Wharton economist and University of California, Berkeley, alumna Ann E. Harrison has been named the next dean of the Haas School of Business, Chancellor Carol Christ announced today. Harrison will begin her term on January 1, 2019. Harrison, the William H. Wurster Professor of Multinational Management and Professor of Business Economics and Public Policy at the University of Pennsylvania’s Wharton School, has deep Berkeley roots. She earned her bachelor’s degree from UC Berkeley with a double major in economics and history in 1982. She also served as a professor of Berkeley’s Department of Agricultural and Resource Economics from 2001 to 2011. Harrison said she is thrilled to return to Berkeley to join its top-ranked business school, and is looking forward to meeting Haas students and alumni, as well as working with the distinguished faculty and staff. Before joining the Wharton School in 2012, Harrison served as director of development policy at the World Bank. There, she co-managed a team of 300 researchers and staff, reformed the World Bank’s process for allocating research funds and oversaw the institution’s most important flagship publications, including its annual World Development Report. During her tenure, she convinced the World Bank’s president to release all historical records on project loans, a milestone in increasing transparency. “Ann has a remarkable track record of pioneering research on trade and development, including influential studies of globalization’s effects on jobs and inequality,” said Berkeley economics professor Maurice Obstfeld, who serves as chief economist at the International Monetary Fund and collaborated with Harrison at Berkeley's Agricultural and Resource Economics Department. “Based on Ann's experience at the World Bank, she will be an effective and much-loved manager,” said Sir Angus Deaton, the Dwight D. Eisenhower Professor of Economics and International Affairs Emeritus at Princeton University who has known Harrison since she was a graduate student. He also is the 2015 Nobel Laureate in Economic Sciences for his analysis of consumption, poverty and welfare. Harrison earned a Ph.D. in economics from Princeton University and a diplôme d'études universitaires générales from the University of Paris. She is a research associate at the National Bureau of Economic Research and a member of the United Nations Committee for Development Policy. Harrison is one of the most highly cited scholars globally on foreign investment and multinational firms. She is the author and editor of three books, including Globalization and Poverty and The Factory-Free Economy. In 2017, Harrison and her co-authors were awarded the prestigious Sun Yefang Prize by the Chinese Academy of Social Sciences. The prize, given every two years, is considered one of China’s most important honors in economics. As the second-oldest business school in the United States, Berkeley Haas has been questioning the status quo since its founding in 1898. It is one of the world’s leading producers of new ideas and knowledge in all areas of business, inspiring new thinking for the new economy. Two of its exceptional faculty have been honored with the Nobel Prize in Economic Sciences. Two of its female faculty, Laura D’Andrea Tyson and Janet Yellen, chaired the President’s Council of Economic Advisers. Janet Yellen also recently stepped down as the chair of the Board of Governors of the Federal Reserve. Berkeley Haas offers outstanding management education to about 2,500 undergraduate and graduate students who come from around the world to study in one of its six degree-granting programs and to join the school’s network of 41,000 alumni worldwide. Its distinctive culture is defined by four Defining Leadership Principles: Question the Status Quo, Confidence Without Attitude, Students Always and Beyond Yourself. Download a high-res photo of Ann Harrison. Read more on the Berkeley Haas website.